Rosacea is a non-contagious skin inflammation that primarily affects the facial area. Surface capillaries dilate; creating a red flush that may be accompanied by small pustules and lumps. The most severe cases of Rosacea can create an enlarged nose, referred to as Rhinophyma. Rosacea is most predominant in skins with Celtic heritage, is three times more common in women and can develop between the ages of 30 and 60. Dermedix Cosmetic Clinic offers a range of solutions that receive good results, including Photo Rejuvenation and laser treatment for Rosacea. While rosacea cannot be cured, triggers such as sunlight, stress, anger, cold, alcohol, sunburn, temperature changes can exacerbate symptoms. There are many medications available today to treat rosacea. But medication doesn’t work for all symptoms—especially redness and flushing, as well as skin thickening around the nose. If you’ve been struggling with these symptoms, laser treatment may be an option. It’s provided dramatic results for some people who have these too difficult-to-treat rosacea symptoms. Targeting these visible blood vessels can greatly reduce redness and flushing. Laser treatment isn’t a cure for rosacea, but many patients see results for months or even years after treatment, and it is by far more elegant, more refined and less painful than previous treatment options for these conditions. Depending on severity of symptoms, skin type, and other factors, people respond to laser treatment differently. Some need only a few treatments while others may require more. At Dermedix Clinic we have professionals who are experienced and skilled in laser treatments that can tailor treatments to your specific condition and needs. How Does Laser Rocacea Treatment Work? Vascular lasers emit wavelengths of light targeted for the tiny visible vessels just under the skin. Using the right frequency for a particular pigment, Laser Rocacea Treatment can deliver light energy, causing them to disintegrate. Through this, the skin beneath starts to heal naturally, replacing blemish pigment cells with new, healthy ones. This procedure happens in a natural, non-invasive, painless process. Most patients report that laser treatment helps reduce visible blood vessels, flushing, and redness. 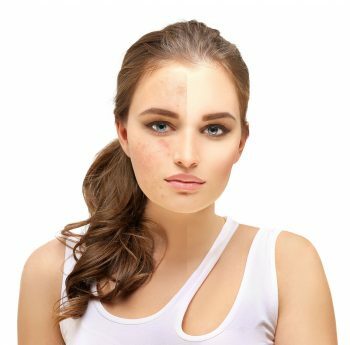 In fact, a recent study found that people with rosacea undergoing laser therapy saw a 40 to 60 percent improvement in these symptoms after the second treatment. Side effects from both types of laser treatments are typically minimal. You may find that you’re red, swollen, and sore the day after treatment. Some people may have temporary bruising for a week or two. In some cases, crusting, discoloration, or scarring can occur. It’s important to talk with an experienced medical professional to see if you’re a candidate for laser treatment. Laser treatment should not be used if you have a tan or are dark skinned. It’s also not right for those who easily scar, have a blood-clotting disorder, or have insulin-dependent diabetes. Pregnant women should also avoid laser treatment. Is there any aftercare I need to do when it comes to my Laser Rocacea Treatment? How many sessions will I need to get optimal results? 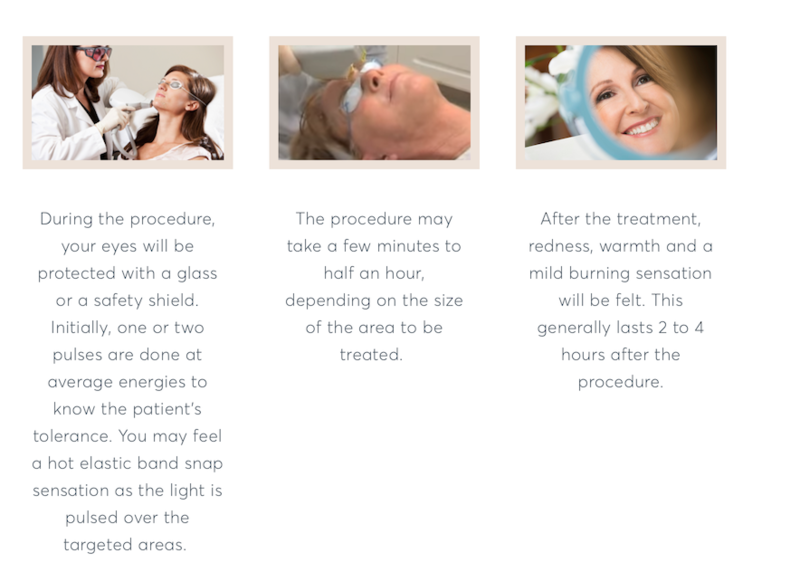 What does the Laser Rocacea Treatment feel like? Patients are have received Laser Rocacea Treatment report the sensation as being like having a rubber band snapped against your skin. While this can be uncomfortable, it cannot be described as excruciatingly painful.